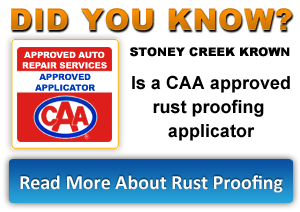 Becoming Canada’s premier rust protection company has always been the goal of Krown – Stoney Creek. 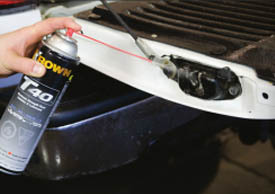 Krown has been a leader in rust protection for vehicles since 1986. 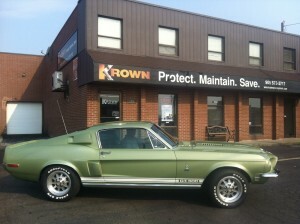 Krown – Stoney Creek has been serving Hamilton, Grimsby and the surrounding region with outstanding rust protection, window film and Krown products since 1996. 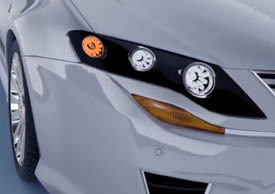 By focusing on what we know best – environmentally safe products and special attention to customer satisfaction – Krown has built a reputation that is second to none. Having Technically the finest products available. Unsurpassed ongoing training for employees. 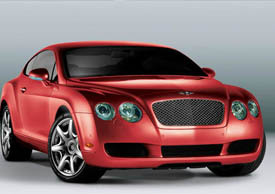 To offer the best warranty in the business. To maintain a healthy business environment by serving our customers with honest values, quality products and efficient service at a reasonable price.